Forward-looking: People like to climb mountains for the challenge. That's the same reason Elon Musk would risk boarding a spaceship and relocating to Mars. At 47, it's still conceivable that he has enough time to make the vision a reality. Even if he doesn't, Musk still has plenty of endeavors here on Earth to keep him busy. 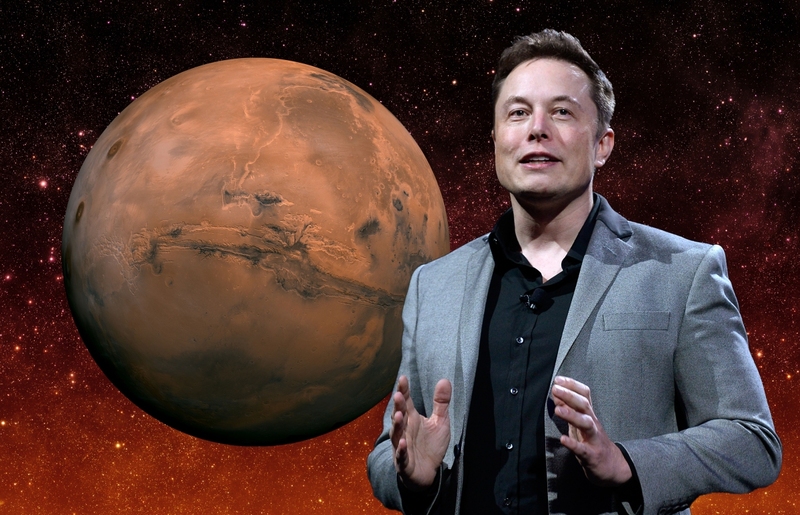 SpaceX CEO Elon Musk has long been interested in colonizing Mars. In 2012, Musk shared plans to build an 80,000-person colony on the Red Planet and has continually worked to advance SpaceX’s rocket technology to one day make interplanetary travel a reality. Patting fearless adventurers on the back before sending them on what would likely be a one-way trip to another planet is a bold declaration and it’s one that Musk doesn’t take lightly. In fact, the serial entrepreneur wouldn’t shy away from the opportunity himself. In a recent interview for Axios on HBO, Musk said the likelihood that he will personally go to Mars is 70 percent. “We’ve recently made a number of breakthroughs that I’m really fired up about,” he said, adding that he is talking about moving to Mars rather than just visiting. When one of the interviewers suggested it could be an “escape hatch for rich people,” Musk dismissed the notion and laid out how the probability of dying on Mars is much higher than on Earth. There wouldn’t be much time for leisure as you’d be working to build the base – assuming, of course, that you survived the trip through space and pulled off a successful landing. “We think you can come back but we’re not sure,” Musk added. The full interview, part of the fourth and final episode in the documentary series, is available on HBO NOW, HBO GO, HBO On Demand and partners’ streaming platforms. Axios reporters in the episode also interviewed Christian evangelist Franklin Graham and Microsoft co-founder Bill Gates.